Boats, and a ship, in today’s post. 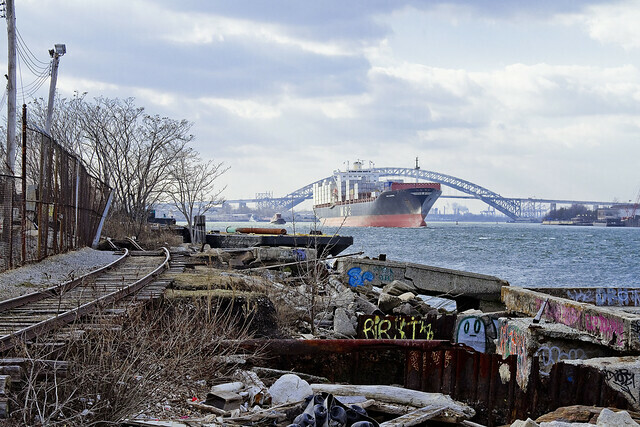 A recent trip to the Kill Van Kull, the busy waterway that defines the border betwixt New Jersey and… Staten Island… happened to coincide with a small burst of shipping activity. DonJon’s Emily Ann is pictured above. 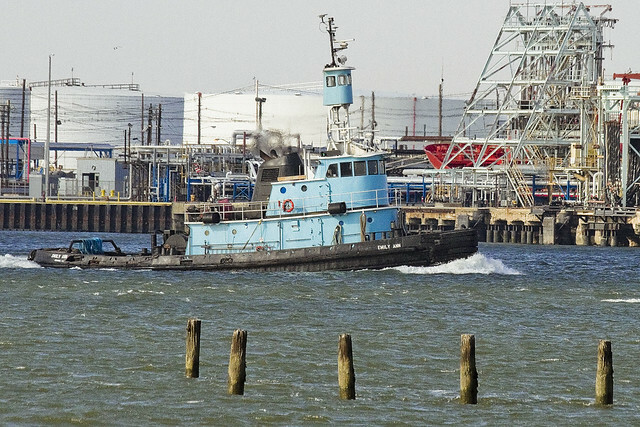 A cargo ship was emerging form the Port Elizabeth Newark complex after having crossed under the Bayonne Bridge. She was riding pretty high in the water, destination unknown. The rail tracks are all that’s left of this branch of the Staten Island Railroad. 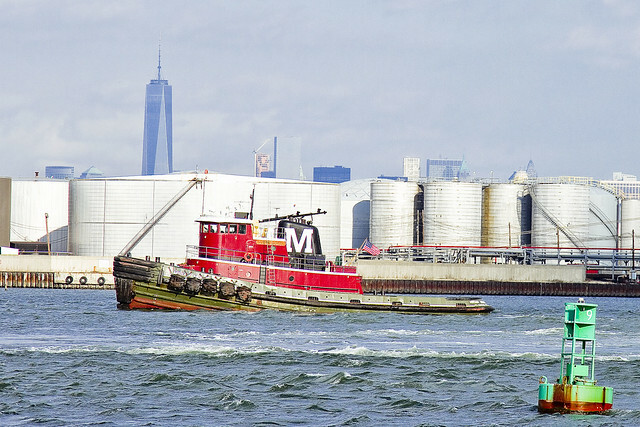 Moran tugs are iconic, especially when posing against the newest NYC icon, the so called Freedom Tower. Sorry for the “softball” post today, it’s been a heck of a week. More on that in a future posting.